This page focuses on members of the academic team; click on a photo to see someone's web page. Professor Brailsford obtained a BSc in Mathematics from King's College, University of London in 1973, followed by the Diploma of the Institute of Linguistics in 1975. Sally then worked for 13 years as a freelance translator of Russian mathematical journals, worked part-time as a nursing auxiliary, completed two-years of nurse training at Southampton General Hospital, and had three children. In 1988 she returned to academia and obtained an MSc in Operational Research at the University of Southampton, followed by a PhD in Mathematics. Sally's thesis was about simulation modelling for HIV and AIDS. 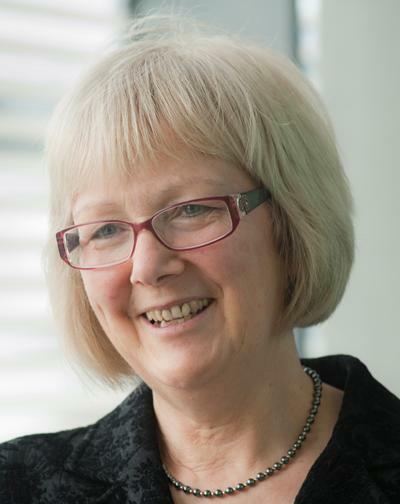 After a variety of research posts at Southampton in both Operational Research and Management Science, she took up a lectureship in what was then the Department of Accounting and Management Science in 1996. From 2012-15 she was Vice-President 1 of EURO, the Association of European OR Societies, and is currently Coordinator of the EURO Working Group on OR Applied to Health Services (ORAHS). Professor Crowe studied Physics at the University of Southampton, graduating in 1980. Having always been interested in the physical life/science interface he then spent 5 years in the Bioengineering Unit within Oxford University's Department of Paediatrics, based in the John Radcliffe Hospital. John's research during that period included the optical monitoring of physiological variables that was the subject of his DPhil. In 1985 Professor Crowe moved to the School of Physics and Astronomy at (the former) Lancashire Polytechnic. In 1987 he moved to Nottingham to join the Department of Electrical and Electronic Engineering. Professor James is a biomedical engineer and his research activity centers on the development of biomedical signal and pattern processing techniques, as well as the use of technological innovations, for use in advancing healthcare and promoting wellbeing. Prof. James has published over 150 papers in neural engineering in varied biomedical engineering journals and refereed conferences. He was a Reader in Biomedical Signal Processing at the University of Southampton, and later a chair in Healthcare Technology at the University of Warwick, and Director of the Institute of Digital Healthcare. In November 2013 he joined the School of Engineering as Director of Warwick Engineering in Biomedicine. Professor Magill graduated in Electrical and Electronic Engineering from the University of Manchester in 1977. He was awarded a MSc in Digital Electronics from the University of Manchester in 1979, and was awarded a PhD from the University of Strathclyde in 1991 for his research in Telecommunications. Between 1979 and 1987 he was employed by British Aerospace, Bell Northern Research, and Northern Telecom. In 1990 he became a lecturer and later a senior lecturer at the University of Strathclyde. In 2000 he became a Full Professor of Computing Science at the University of Stirling. His research interests include Healthcare and Homecare networks, Feature Interactions, Wireless Sensor Networks, and Virtual Worlds.